A developer has filed plans to construct a nine-story, self-storage facility on Northern Boulevard. Shibber Khan’s Criterion Group filed plans Feb. 6 with the Department of Buildings to construct a storage facility at 31-08 Northern Blvd in Long Island City. 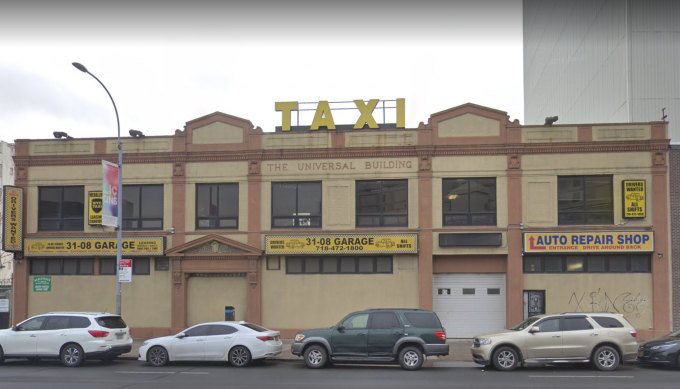 The site, located near where Northern Boulevard meets 31st Street, is currently home to a two story building used as a taxi service headquarters/ auto repair shop. Plans to demolish that building were filed in September. The property is flanked by two other storage facilities: Public Storage, at 32-04 Northern Blvd, and The Storage Fox, at 30-46 Northern Blvd. The project is expected to span 254,636 square feet and stand 115 feet tall, making it one of the biggest storage facilities in New York. The lot, which contains about 51,426 square feet, was bought by Criterion in 2015 for $40 million. The Astoria based firm was ready to sell it in 2016 after receiving many offers from potential buyers for an office space, but decided to keep the lot and develop this project instead. Criterion, a group that has been known for residential developments in Western Queens, pursues this project as Long Island City continues to experience tremendous residential growth, with a market for storage spaces likely to grow. Khan did was unable to be reached for comment by press time. Actually the site is near to where 31st Street, not 41st Street, meets Northern Blvd. George Carlin was right when he said that your home is just a place to store your stuff. Smaller homes + rampant consumerism = storage places. Yeah. We’ve all got too much stuff! To be fair, many small businesses use storage place for their inventory. I used to do that; no way I could store all that stuff in my apt.